This course is specially designed for students who have no previous knowledge of Chinese or whose study of the language is very limited, normally not higher than NCEA 1. CHINESE100 and 100G are taught concurrently. This course gradually and systematically introduces characters and grammar points in one plenary lecture a week on Monday and in four tutorials spread out throughout the rest of the week to ensure optimal learning results. This is a 15 points course with there being a total of 60 contact hours. Listening: Understand short, fixed utterances and some sentence-length utterances, especially where context supports understanding and speech is clear. Students will also be able to comprehend limited vocabulary and some simple questions and statements about family members, age, time, interests, and daily activities. Speaking: Make short statements and ask simple questions, primarily by relying on memorized utterances but occasionally by recombining familiar phrases and fragments. Vocabulary centres on areas such as common objects, places, daily activities, hobbies, etc. Reading: Identify a limited number of character components and high-frequency characters in areas of immediate need. Students will be able to read typical messages for instructional and directional purposes, such as prices in stores, times and dates on schedules, and simple replies. Writing: Write fixed expressions and short statements. Vocabulary centres on areas such as common objects, places, daily activities, hobbies, etc. Students will also be able to write names, numbers, dates, their own nationality, and other simple autobiographical information as well as some short phrases. Characters: Recognise and write by hand the most frequently used radicals and characters. This course covers Lesson 1 to Lesson 5 of the textbook, which includes about 40 major radicals and 170 characters. 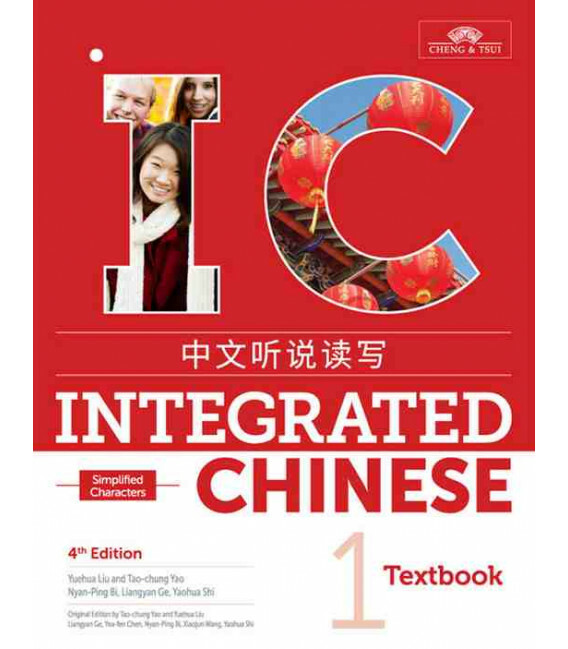 For the textbook of CHINESE100/100G, you may choose to buy a printed copy from the Ubig bookstore OR subscribe to a digital copy from the publisher directly. You are not required to buy a workbook or character book for this course. We will provide you downloadable worksheets instead. 2. Please contact our UG Advisor, Marget Lee (ms.lee@auckland.ac.nz), for questions about your study plan, concessions, information about Chinese major, language diploma and certificate, etc. We all go through tough times during the semester or see our friends struggling. There is lots of help out there - for more information, look at this Canvas page, which has links to various support services in the University and the wider community.